Published on Thursday, October 22, 2015. Sharron Waszkurak is a Library and Information Science graduate student at St. Catherine University, and is currently working as an Archives and Metadata Intern at the ACC Library. Through the Metal Museum and the American Craft Council's joint digitization project of materials from the Society of North American Goldsmiths' slide archive, we have been introduced to a diverse landscape of metalwork and artists. Objects range from unique baubles weighted heavy with abstracted meaning to a metalsmith’s playful take on a tea set. Today we browse through a collection of work by Bernard Bernstein, who devoted a majority of his artistic efforts to creating Jewish ceremonial art, also known as Judaica. Working primarily in silver, Bernstein created ornaments for the Torah, lamps, and other artifacts that are at once modern and yet provoke a familiar feeling of tradition and history. Our digital collection includes pieces that can be characterized as sleek, stylized, and precise. Each piece imparts its own personality and represents a distinct function. 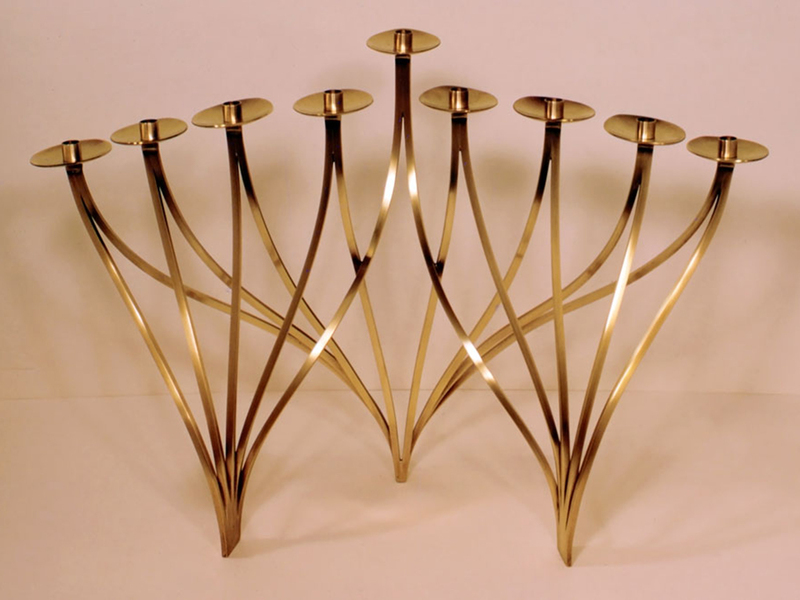 For instance, his Hanukkah lamp is made up of graceful curves, with lines loosely braided together to meet at the top nine candle supports, radiating a sense of lightness. In contrast, his Torah headpieces possess an architectural element that is reminiscent of strong columns and evoking the notion of stability. 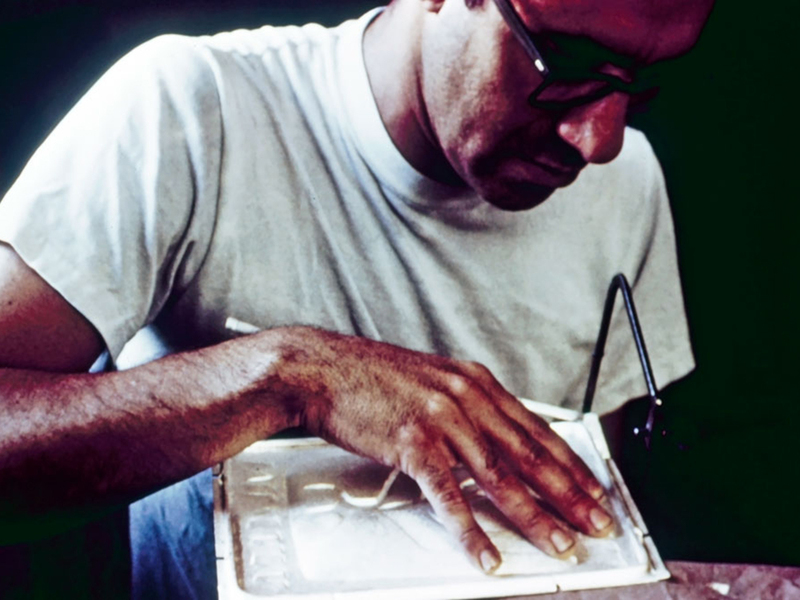 Born in New York, Bernstein was inspired by Ludwig Y. Wolpert, a German-Israeli silversmith who taught Bernstein at The Jewish Museum in the late 1950s. Bernstein went on to study jewelry and silversmithing at the Rochester Institute of Technology where he earned his MFA. After completing his PhD at New York University, he began a 20-year teaching career at the City College of the City University of New York. Later, he went on to the 92nd Street Y to co-direct courses on Judaica silversmithing. Pati Hibbard is a Library and Information Science graduate student at St. Catherine University, and is currently working as an archives and metadata intern at the ACC Library.